Why?! Well nail polish is toxic and I did not want to expose my son to those toxins! As we all know it only takes 20 seconds for something that we put on the outside of our body, to make its way on the inside. As a breastfeeding, conscious mother, I could not expose Liam to these things after finding out the truth about nail polish! There are seven SUPER toxic ingredients in nail polish. But don’t worry, I actually found a salon that only uses nail polish that does NOT contain these things. 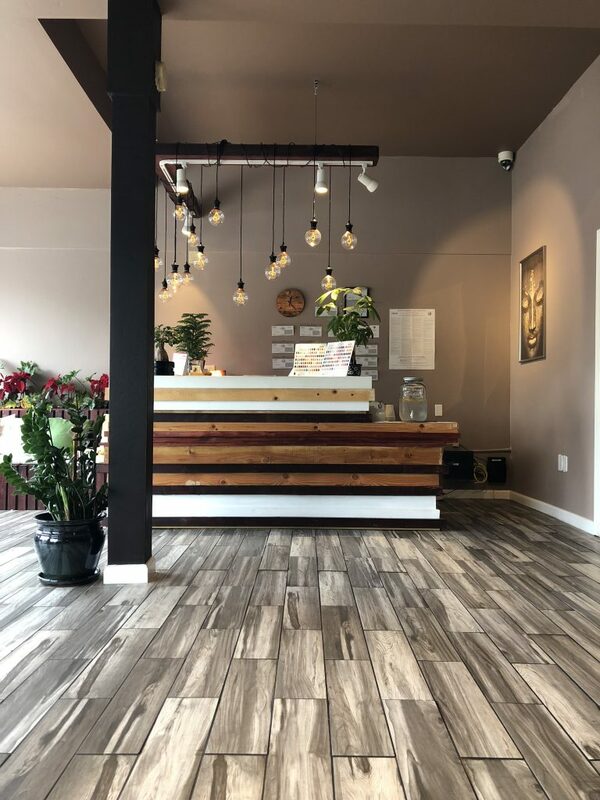 No, I am not making this place up, it is called Nature Love Salon and they are in Sacramento Ca. If those seven ingredients were not enough to make you cancel your next nail appointment. Maybe the rest of this blog post will! I have linked all of my resources, as always, I encourage you to do your own research. “Scientists suspect that the chemical at issue—triphenyl phosphate, or TPHP—disrupts the hormone system.” Hormones such as TPHP have been linked to things such as an early start to puberty, neurological issues and obesity. TPHP is also an ingredient in fire retardants. This is one of the main reasons I have strived to provide Liam with an environment free of TPHP by buying him organic or handmade clothes, as well as bedding, toys and equipment that has not been sprayed with fire retardants. Studies have shown that TPHP “is often used as a fire retardant infused into foam furniture. From furniture, it and other fire retardant chemicals migrate into household dust, and from there, into people—especially children. EWG biomonitoring tests conducted in 2008 discovered that babies and toddlers, who play on the floor, typically had triple the amounts of fire retardant chemicals in their bodies as their mothers.” However, that is a whole other blog post in itself! So as I mentioned earlier it has been almost two years since I got my nails done for this very reason! 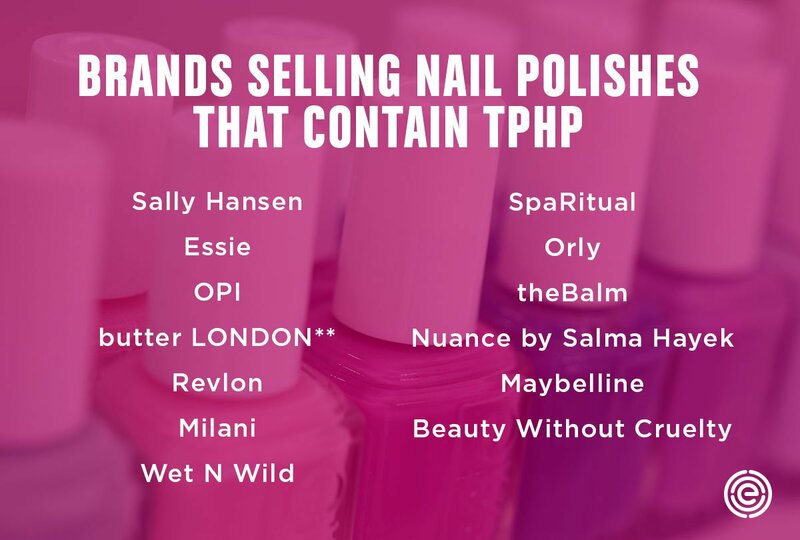 Sadly, due to low regulation with the FDA nail salons can loosely use the words organic, natural and even carry nail polish that still contains TPHP. Due to such low regulation in the industry, many companies will put ingredients like TPHP in their products and not even disclose them in an ingredient list. Want to know more about TPHP and how you can avoid it? Click here to read the full report.